All frameworks, ALM integrations, and plugins are included in a single package for Windows, macOS, and Linux. Friendly UI for users to quickly create, execute, and maintain tests. Minimum programming skill required. Sample projects to start in no time. All functionalities ready for Web, API, and mobile automation. Extend and customize testing features with plugins from Katalon Store. 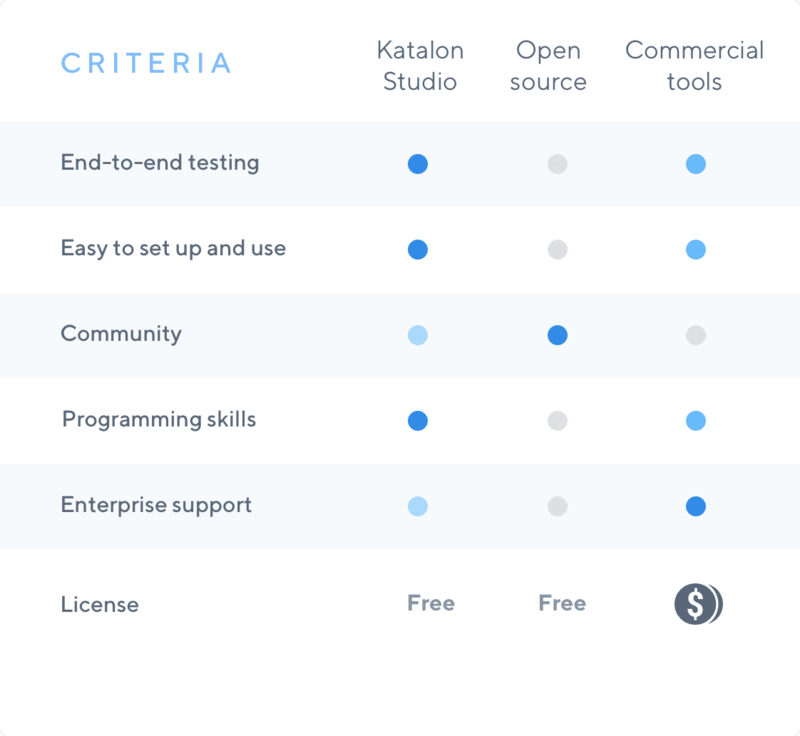 Automation testers from 160 countries with YouTube channels, GitHub repositories, and Udemy courses dedicated for Katalon Studio. 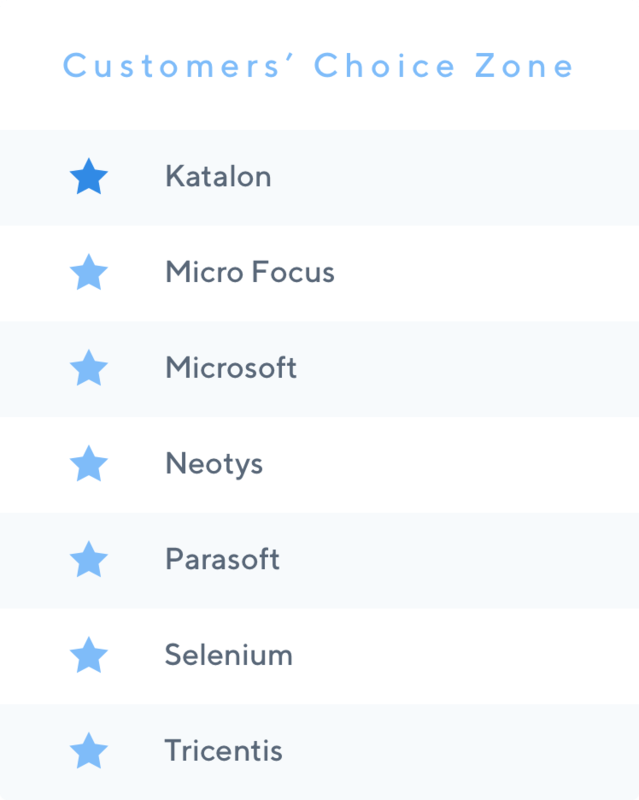 We're honored to become a Gartner Peer Insights Customers' Choice for the software test automation market, reviewed by users from various industries and companies of all sizes. Simple, intuitive and detailed tool for agile and automation. Easy to use, good UI and the BEST in the industry of automation. Easy implementation, integration with CI/CD, fast and reliable executions.